These disks can be added to storage pools to have one or more disks with to with bigger sizes. The .csv file that delivers the required information can easily be edited in Excel. The script even allows switching to a different subscription and/or storage account which adds some flexibility. It doesn’t matter if the same subscription information is set multiple times. 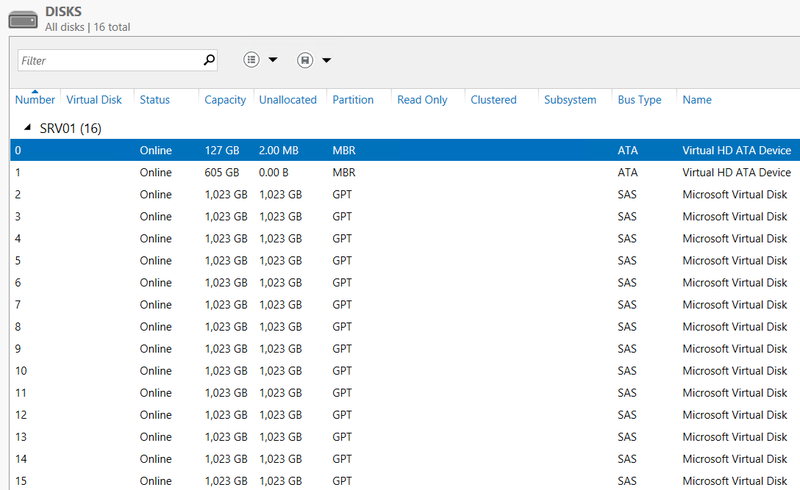 After running this script I can see the disks are available in my Azure VM and use them to my needs.